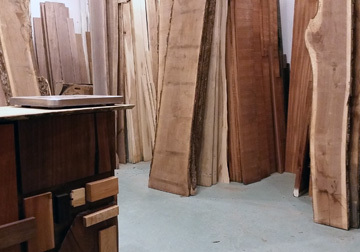 We feature quality, select and better kiln dried hardwood lumber and live edge slabs in Walnut, Cherry, Maple, Sapele & Ash, Maple and other select hardwoods. 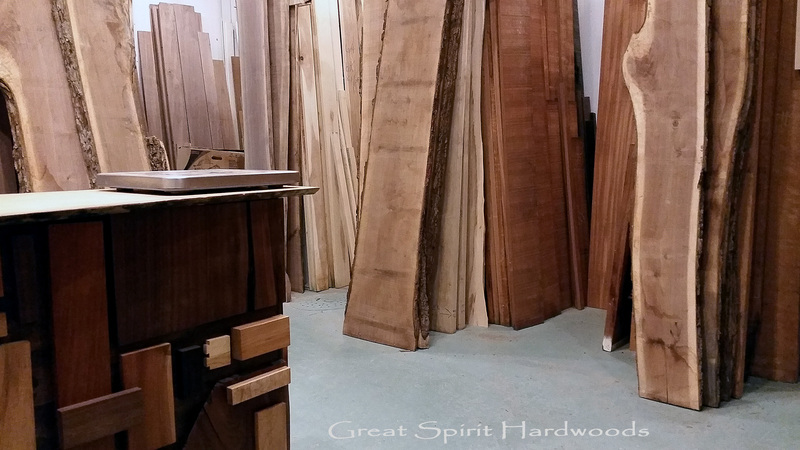 Great Spirit Hardwoods for all of your hardwood lumber needs. Feel free to visit us to view our hardwood lumber and slabs, for wide belt sanding and machining services and for our custom, to the trade table top products. Our Mom and Pop hardwood lumber store is located in beautiful downtown, East Dundee, Illinois and we can serve you with quality whether you need a few pen blanks or want amazing pricing on a hundred board feet or more of select and better kiln dried hardwood. 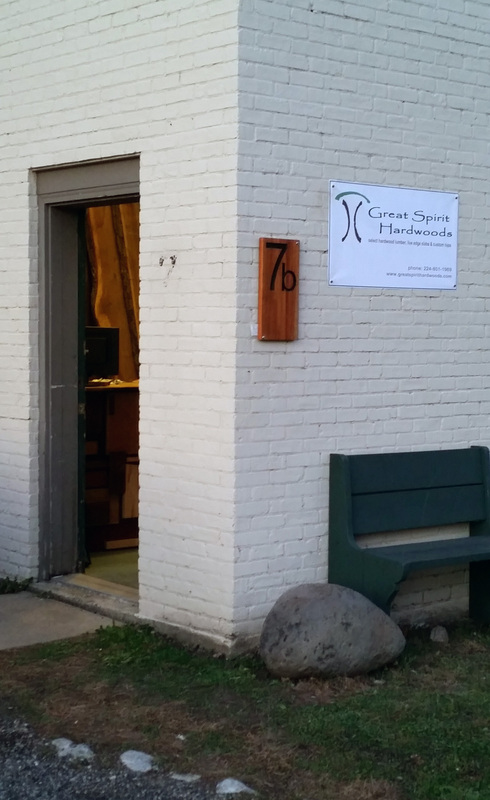 Insist on quality hardwoods at fair pricing from Great Spirit Hardwoods for that next woodworking project or job. Please feel free to view our current price list and our current sales flyer!. 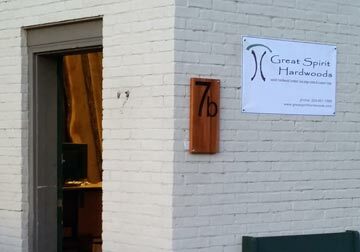 Great Spirit Hardwoods - Visit Us. 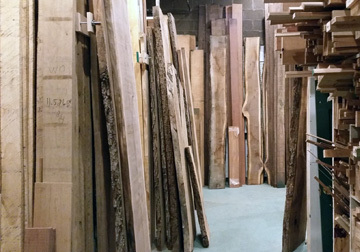 We are the only hardwood store in the area open seven days a week. We are here to serve you. As furniture makers ourselves, we always wished that we could beat traffic and shop for hardwoods on the weekends. We are here to assist as our shedule is meant to accomodate yours. 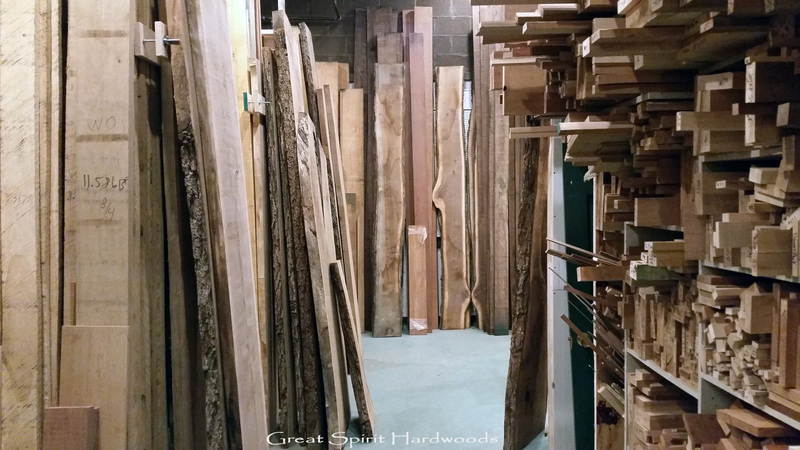 In fact, our store came to being from a desire to provide what is completely lacking in the greater Chicago area, quality kiln dried hardwood at fair pricing without wide board charges. We are here to help you when you need it.